Gain a competitive edge by bringing clients into their customized, redesigned space before it’s even built. 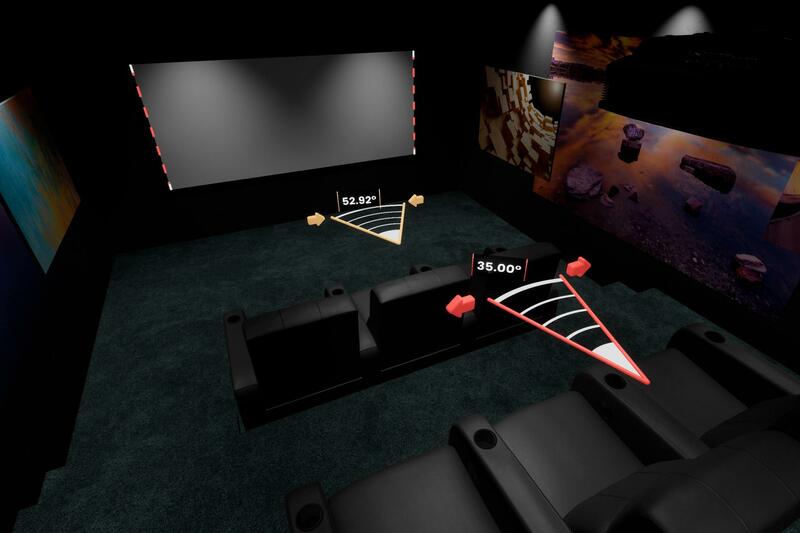 Your client's space can be recreated to scale in just minutes, so you can begin designing the media room of their dreams. 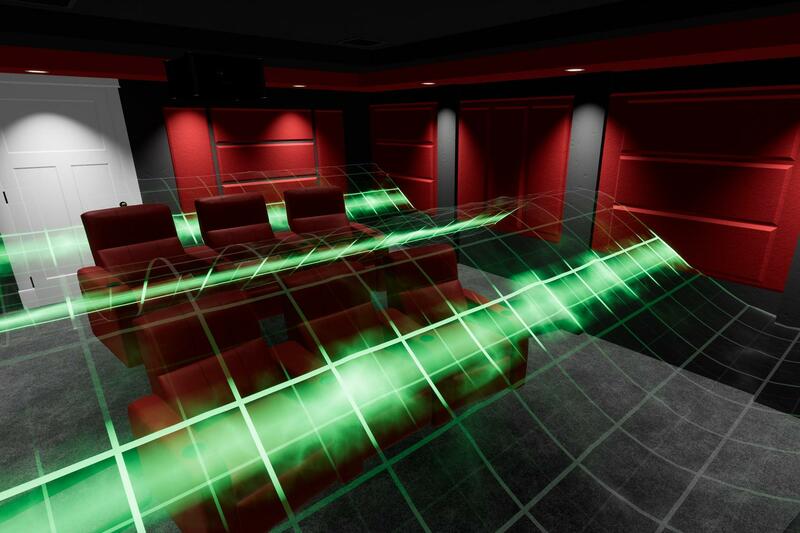 Measure the space and enter dimensions into the Modus VR program for simple room recreation. Create the unique angles of the space and insert windows and doors to make the space true to reality. Customize everything from room color to artwork on walls for the most accurate depiction of every space. 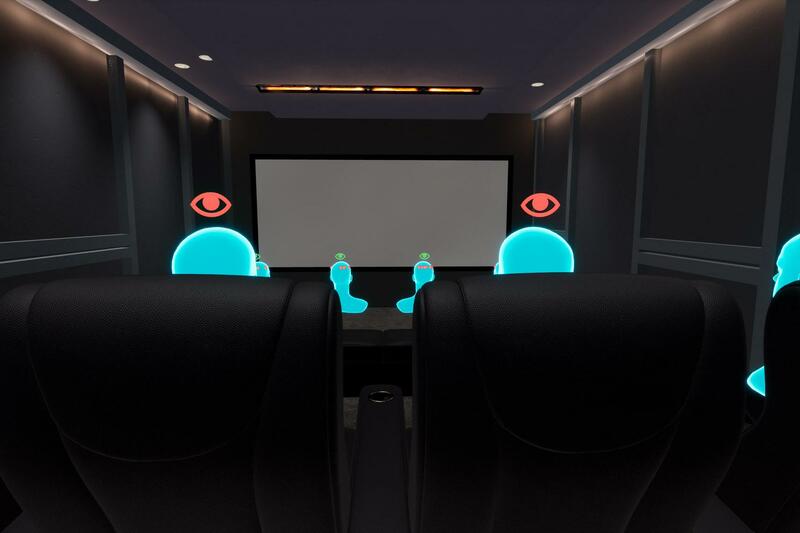 Working in virtual reality with tools designed specifically for the AV industry comes with a new world of benefits. Modus VR indicates viewing angles with a green (good to go), yellow (adjustments needed), or red (major interference) status as updates are made. This way you can educate clients on the ripple effect of changing screen size, screen position, and seating positions. Sight lines are calculated on a per-seat basis and updated in real time, indicating if any seat in the room has an obstructed view of the screen. This is especially helpful for curved or tiered seating—both of which are cases where sight line issues may occur. Standing waves are often talked about but rarely understood. By having the ability to show your clients theoretical standing waves, they can quickly understand this abstract concept and appreciate why you recommend placing their seating in certain places. Eliminate the tedious busy work of traditional blueprints. Create spaces in VR and simply export to CAD.